This past weekend hordes of people who grew up in the 1980s started watching, or even binged all the way through the latest Netflix original series, Stranger Things. With heaps of 80s nostalgia in tow, the show not only brought back tons of visual elements from the era, but also a familiar tone and storytelling style that was lost once MTV brought reality TV to the forefront of pop culture. The series not only achieves greatness in throwback form, but also remains fresh for a whole new generation of kids coming of age. Created by the dynamic writing and directing team of brothers, Matt and Ross Duffer, and executive produced by Shawn Levy who also directed two episodes. Netflix's newest original scripted series is a love letter to the 80s classics that captivated a generation. Stranger Things is set in 1983 Indiana, where a young boy vanishes into thin air. As friends, family and local police search for answers, they are drawn into an extraordinary mystery involving top-secret government experiments, terrifying supernatural forces and one very strange little girl. Creators Matt and Ross Duffer are a unique pair. The duo pulled out all the stops to get the series made. 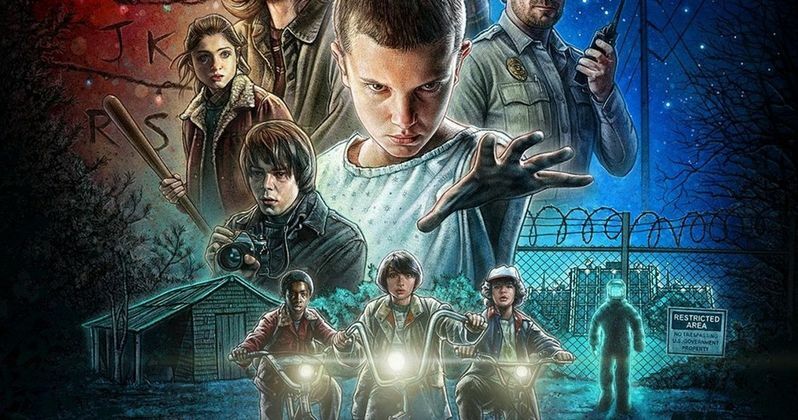 Below are some of the fun facts about Stranger Things you didn't know. - To help sell the show, the Duffers edited a mock "trailer" the combined clips from over 25 feature films, including E .T. , Nightmare on Elm Street, Super 8, and Halloween. - The composers of the Stranger Things soundtrack (Michael Stein and Kyle Dixon) were two members of an Austin synth band called SURVIVE; their music was featured in the soundtrack of the film T he Guest. This is how the Duffers initially discovered them. Michael and Kyle both quit their day jobs in order to work on the show. - The composers (Michael Stein and Kyle Dixon) have written over 13 hours of music for the show. - Winona Ryder wanted her hairstyle modeled after Meryl Streep's hair in Silkwood. - Winona Ryder and Matthew Modine have appeared together once before: in the music video for Roy Orbison's "A Love So Beautiful."